Shalom College offers AIEF Tertiary Scholarships to eligible students residing at the college. 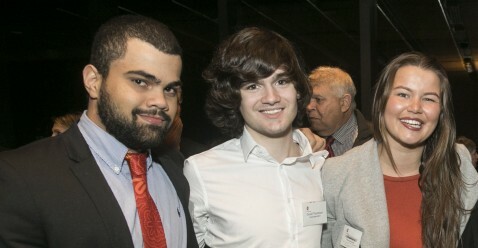 The Shalom Gamarada Scholarship Program was established to make a contribution to closing the gap between Indigenous and non-Indigenous Australians through higher education and by increasing the number of Indigenous professionals. The program is now making an identifiable impact. Since the program started in January 2005, 33 students have graduated, including 18 Aboriginal doctors. At the end of 2017, eight more students (five of whom as doctors) are likely to graduate. In Australia in recent years, less than 50% of Indigenous students who commenced university completed their degrees – this is approximately 25% less than the rate for non-Indigenous students. This is largely due to the serious educational and socio-economic disadvantages which many Aboriginal and Torres Strait Islander students face. 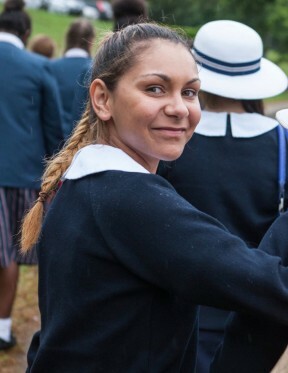 Our Indigenous scholarship holders have had a pass rate of well-over 90% in the past 7 years - which exceeds that of non-Indigenous Australians. 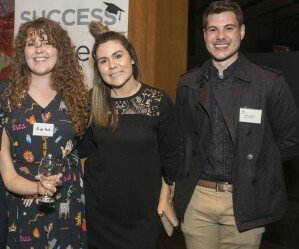 This success is all the more remarkable given the fact that most of these students are studying long-haul degrees like Medicine and Law, and are competing against the brightest and most privileged students from around Australia and the world. Starting with one scholarship in 2005, Shalom College today has 18 Shalom Gamarada residential scholarship holders. One of the many highlights occurred last year in 2016 when Renee Wootton, a young disadvantaged Tharwal woman, originally from Marlee NSW (near Taree) completed a Bachelor of Mechanical and Manufacturing Engineering with Honours, majoring in Aerospace Engineering. She was able to do so because she lived in Shalom College on an AIEF-Shalom Gamarada Scholarship for five years. She now works as a graduate engineer with Qantas and was a finalist in the NSW/ACT Young Achiever Awards for 2016/2017. The Pauline McLeod Reconciliation Award in May 2015. 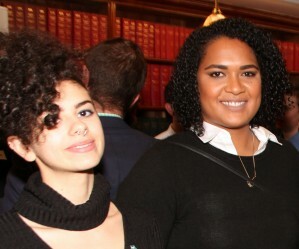 It was issued by the Eastern Region Local Government Aboriginal and Torres Strait Islander Forum which includes the councils of the City of Sydney, Waverley, Woollahra, Randwick, Leichhardt and Botany. The prestigious LIME Award in November 2009 – issued by the Medical Deans of Australian and New Zealand Universities - as a model of best practice in the recruitment and retention of Aboriginal medical students. We are proud to partner with the Australian Indigenous Education Foundation which has enabled us to increase the number of scholarships we have raised. Together, we are making a real difference to closing the gap between Indigenous and non-Indigenous Australians. 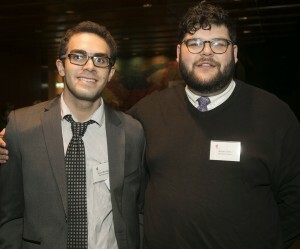 “For six years, I lived at Shalom College, at the University of NSW on an AIEF-Shalom Gamarada scholarship. It provided me and many other Aboriginal students with a safe space, where we were proud to be Indigenous Australians. 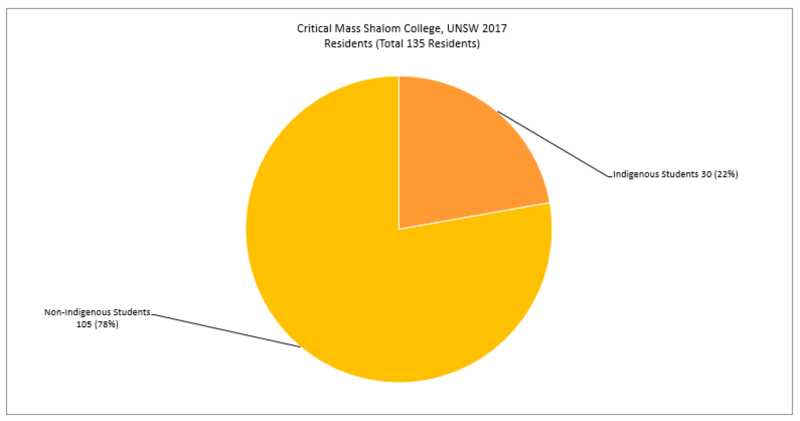 We not only supported one another but became part of the college’s multicultural network of residents. There was considerable educational support available through resources, tutors and study groups. Moving from interstate, I particularly benefited from the instant group of friends and social opportunities college offered. The scholarship provided a roof over my head, regular meals and a great study environment. I did not have to juggle part-time work with study and spend time and money communing to and from university. 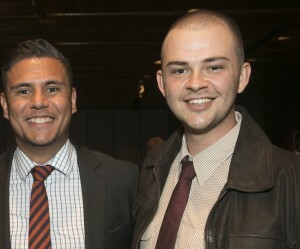 Shalom College commenced the AIEF - Shalom Gamarada Indigenous Scholarship Program with 14 scholarship students in 2010. In 2017, a total of 13 AIEF - Shalom Gamarada Indigenous students were supported. In 2017, Shalom College had a total of 135 residents, including 30 Indigenous students who were supported through the Shalom Gamarada Indigenous Scholarship Program. My education didn’t stop when I finished school, but that’s where it started, and by providing scholarships at some of Australia’s best schools, AIEF is ensuring thousands of Indigenous children get the best start possible.